This hand-carved Nativity comes from a single piece of wood. Kamba carvers in eastern Kenya cut a length of wild olivewood branch along its length into three sections that are later bound together with sisal twine hinges. 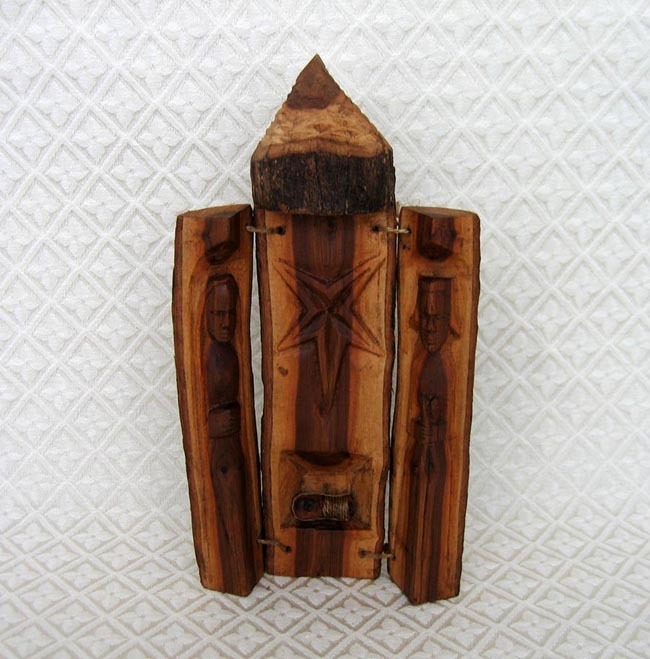 The interior faces of the small log are hand-carved into the depiction of Mary, Joseph, and baby Jesus (with a sisal twine blanket wrapped around him). The scene folds together for storage. The triptych measures 9.5 inches tall.